Realtors + Buyers = Lunch in 2019! That’s right! Realtors with a buyer will receive a free lunch in 2019! Throughout the year, any Realtor who makes an appointment for themselves and a buyer to meet with one of our sales representatives will receive a coupon treating them and their buyers to lunch. All Tucker Hill Master Builder Partners, which include Darling Homes, David Weekley Homes, and SLC Homebuilding, LLC are participating in this program. 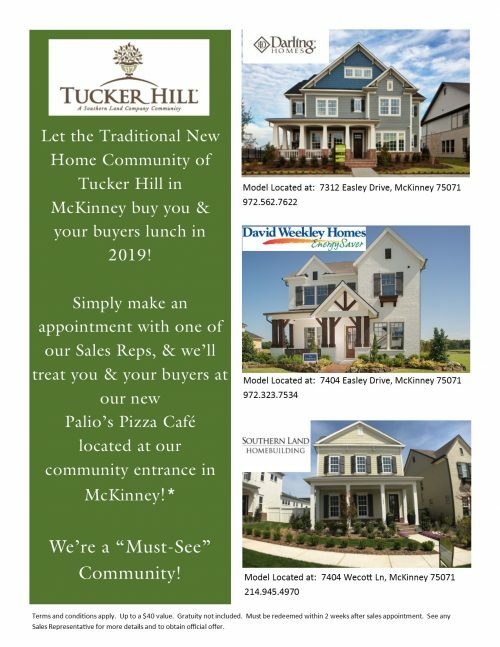 “We hear so often from buyers that they wish their Realtor had told them about Tucker Hill prior to settling on another new home community. Because of this, we know we’re a must-see community. We wanted to come up with a way to thank Realtors for making us a part of a day of showings,” said Marketing Manager Vicki Northcutt. “Since many realtors can spend an entire day with buyers, it’s our pleasure to provide this complimentary lunch, dinner or even snack break,” she continued. For now, the coupon is valid for up to $40 only at Palio’s Pizza Cafe, located in Harvard Park at Tucker Hill, at the entrance of our community. As other restaurants open at Harvard Park, there is a chance that this offer will be expanded. 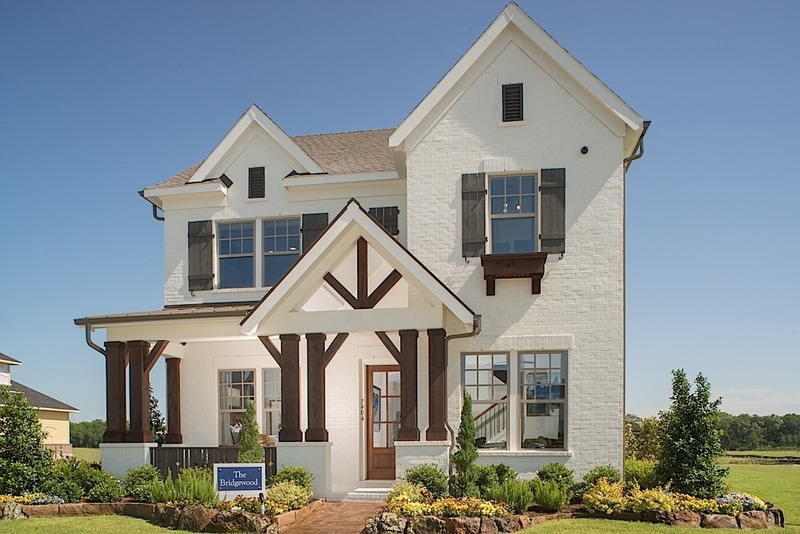 The coupon is given to the Realtor upon completion of a builder sales meeting. It must be redeemed by the Realtor no later than 2 weeks following the sales appointment. Palio’s staff will ask the Realtor to sign upon redeeming the coupon. Gratuity is not included. For more information or to make an appointment, please refer to the Builder links above or our Get In Touch page for contact emails and phone numbers.